The conditions for the remainder of yesterday and during the night did not swing round as much as we would have hoped, and whilst the seas were nice to us compared to the last few nights, we did not make the headway we would have liked. The result of this is that our arrival into Hobart has been pushed back by a couple of hours, and we will now be alongside Macquarie No. 3 wharf Hobart at 1230 hours tomorrow, Saturday 19 April 2014. I woke up this morning with some light coming in from my port hole and turned over to look at my watch. It was eleven o’clock and I couldn’t believe I had slept so long. I must have been exhausted. Lunch today was a special spread with lots of sea food. I enjoyed some prawns, fish, mussels and squid rings. After lunch I packed a few things up and then went up onto the bridge to see what conditions were like on my radio. Conditions seemed to be terrific once again but the transmit audio wasn’t working for some reason. I messed about for an hour or so and then decided to just pack everything up. I can’t complain having finally given up the ghost on the second last day from port. I spent the afternoon down loading some more documentaries and I had a good long talk to Graham, whose job I might be taking in Papua New Guinea. He showed me lots of photos of the place and equipment. Talk about a coincidence. Dinner was also a terrific spread with crayfish, oysters, prawns, duck and three cans of light beer each. Later I did some more down loading and watched some movies. Conditions have been reasonable all day and pretty good tonight also, so I think I should get another nice sleep again tonight. The voyage has been a total success and there was a bit of back slapping going on tonight. 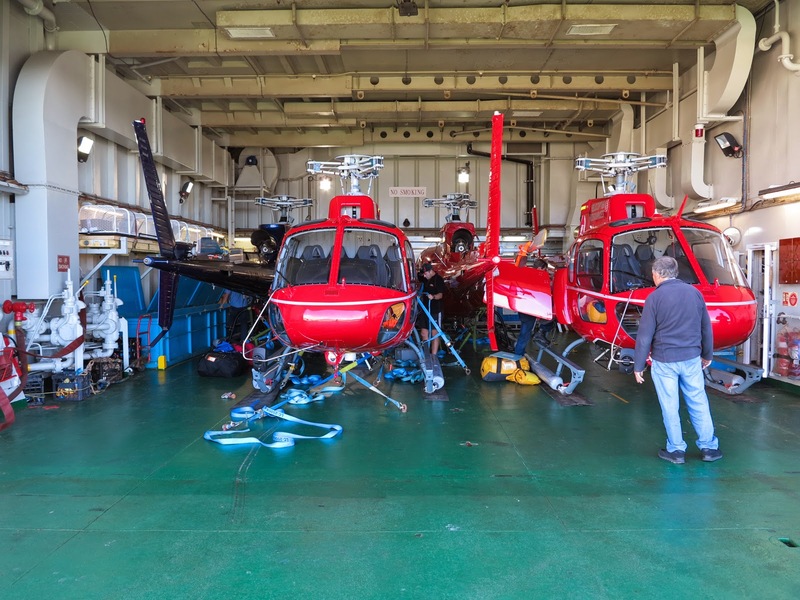 Final statistics were 208 helicopter sorties, around 250 flight hours, 148,627kg of cargo flown ashore to Mawson – which includes 47,048L of SAB and 8,101kg of cargo back loaded to the ship. All achieved in nine days of actual flying without incident. Yes I know I have stuffed up the distance to go ! !